Canopy Arborists provides tree services throughout the Waikato and BOP region. We undertake all aspects of tree work. From large tree felling, land clearing, to hedges and fine pruning. Residential, commercial and Government departments. Although tree removal is a last resort, there are circumstances when it is necessary. We can help decide whether a tree should be removed. Canopy Arborists has the skills and equipment to safely and efficiently remove any sized tree in any spot. Complete hedge overhaul or yearly maintenance. Removing unsightly, dangerous stumps of any size. Canopy Arborists uses modern fleet of excavators, large diameter chippers and trucks to process waste and remove from site. Undertaking contracts for local council, Government departments, civil construction and roading projects. Using modern arboricultural practices we can prune branches safely away from structures, road ways and services lines. Sometimes large defect limbs will need to be remove when they pose a risk to property and people. Yearly maintenance pruning is a specialty. Pruning for air movement, light penetration, reducing the wind sail effect on heavy limbs and to greatly improve the appearance of the tree. Many thanks Jeff! Love the view to Kakepuku! Great Job on the hedge, looks very good. Can't believe how good the Cedar trees look. Thank you so much for the good job. Hi Jeff, thanks for doing the chipping job so promptly, well done ! Hi Jeff, thank you very much for a job well done. Nice and tidy. Will certainly recomend you. Many thanks for your care and promptness. Many thank, job well done, recommend you anytime. Thanks again Jeff, great job. 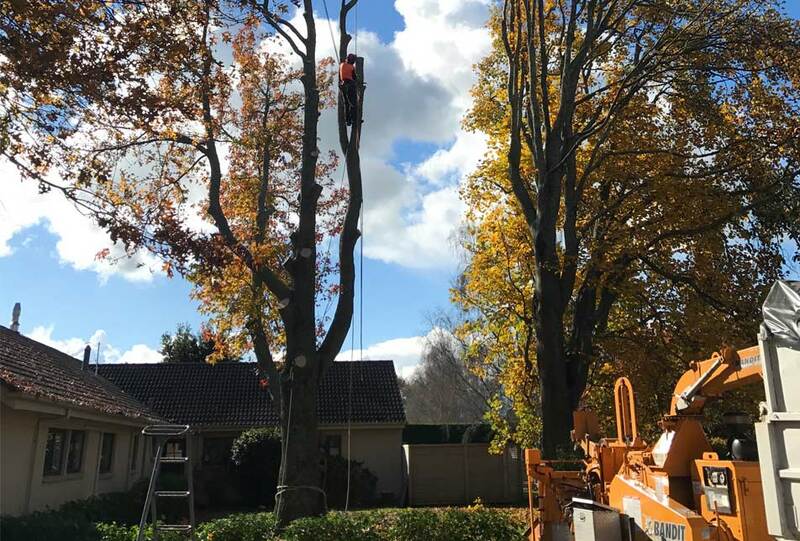 Canopy Arborists offers tree trimming and removal services in Waikato and BOP region. Our qualified and experienced team of arborists will ensure that your job is done safely on time, on budget and to a high standard! Whether you need a tree trimmed or completely removed, we have the machinery to make it happen. We also take care of hedge trimming and shelter belt removal and can offer stump grinding to take the remaining stump below ground level. Hamilton, Cambridge, Waikato, Raglan, Te Awamutu, Matamata, Hunty, Morrinsville, Te Kuiti, Otorohanga, Ngaruawahia, Putaruru, Claudelands, Maeroa, Frankton, Dinsdale, Melville, Fitzroy, Deanwell, Glenview, Hillcrest, Silverdale, Fairview Downs, Fairfield, Nawton, Rotokauri, Beerescourt, Enderly, Chartwell, Queenwood, Te Rapa, Pukete, Flagstaff, Rototuna, Tamahere, Matangi, Tirau, Leamington, Tokoroa.